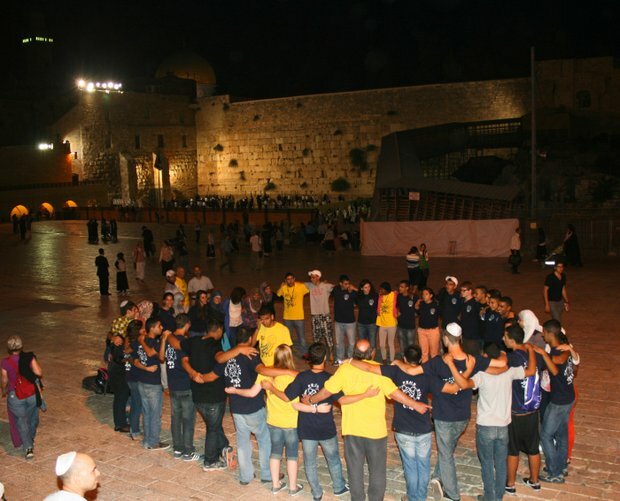 Peace comes to the Holy Land – 40 Arabs and Jews at a time. Since 2000, a foundation led by Qualcomm heirs Gary and Jerri-Ann Jacobs has brought together 10 San Diego high schoolers, all Jews; 10 Israeli Jews; and 20 Israeli Arabs for tours of Israel. Together, they visit sacred sites like the Western Wall and the Temple Mount. 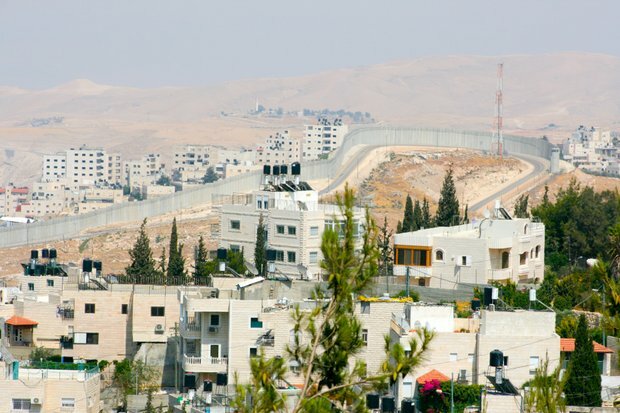 They tour the tense border between Israel and the Gaza Strip; meet with Bedouin villagers; spend Shabbat in Jewish homes; and camp beneath the stars in the rugged Negev. Many of the Israelis had never met – let alone befriended – someone from another religious tradition. And many of the San Diegans had never before encountered – let alone understood – Arabs. The Jacobs International Teen Leadership Institute may not heal all the Middle East’s wounds. But student by student, year by year, it’s a start. Jewish teens from San Diego, Israeli Jews and Israeli Arabs gather to pray for peace at Jerusalem’s Western Wall, a holy site for Jewish prayer and pilgrimage. A view of the barrier that separates Israel (inside the barrier) from the West Bank (outside the barrier). 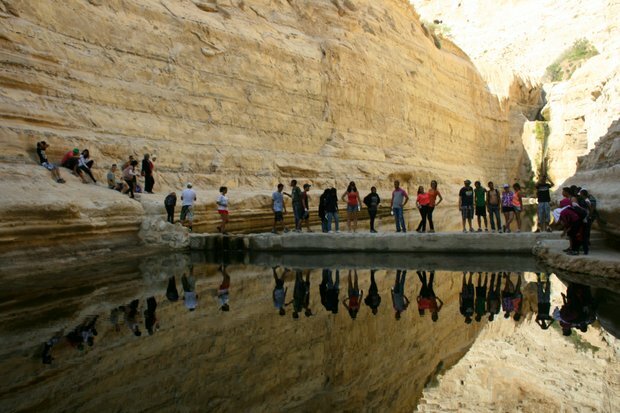 The cross-cultural group of teens visited a natural spring in the Negev in southern Israel. The students spent a night in the desert under a starry sky. 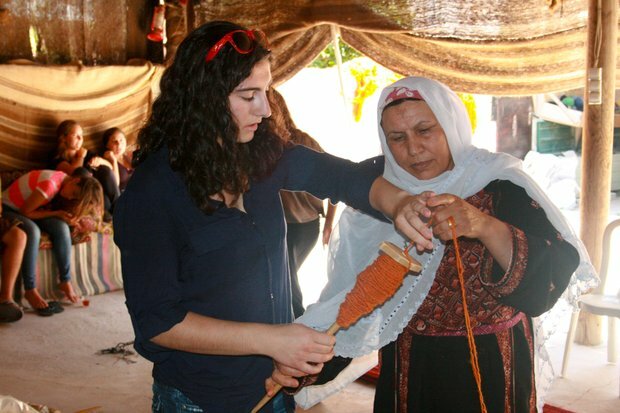 High Tech High senior Mara Jacobs learns how to weave from Heigar Alsana, the owner of a weaving factory in southern Israel.